There are many ways to implement email marketing and myriad articles discussing the best plan of action. In an effort to save you time, we’ve compiled some tips on the best email marketing strategies. Some have come to associate email marketing with spam, resulting in a sour view of the company or firm that sends the email. But, when certain tactics are implemented correctly, email marketing can provide useful and interesting content to current and prospective clients, which in turn will garner business. Word of mouth is extremely important in any industry, and successful email marketing is one way to get referrals. E-newsletters should be sent out monthly, or at least quarterly. Don’t send to hundreds or thousands of people from your personal or work email – use an expert email marketing service. For instance, if you own a local service business, you don’t want to waste your time targeting interstate or international clientele. There would be very little return-on-investment (ROI) and it could negatively affect your reputation with search engines. Add a “Subscribe to Our Email List” option on your website. Offer a giveaway – in exchange for the reader’s email address, he or she is entered into the raffle (for a gift card, for instance). Create an exit-intent pop-up – when a reader is about to leave a site, this small ad will pop up asking them if they’d like to stay up-to-date on the latest company news. Offer downloadable content, such as a how-to guide, for which readers will need to provide their email to access the content. Take advantage of one of the many companies with nominal fees that will ensure your email address isn’t blacklisted, such as Constant Contact, StreamSend, or MailChimp. These services have e-newsletter templates that can be altered to meet your brand. If you don’t have the time, seek out the guidance of an experienced marketing team that can take care of it for you. Implement these details in two- or three-sentence paragraphs in the body of your e-newsletter, with pages that jump out to expand on the content. In the case that you don’t have a lot of news to share, write original content to educate your audience about your experience and your business – including why your business stands out in its field. You want the optimal opportunity for visibility and follow-through. Think about the day-to-day business of your audience and schedule the campaign to go out when your readers will be able to sit down and read it. Consistency is key for email marketing; e-newsletters in particular. You want your audience to anticipate and look forward to your monthly letter, which is full of free, valuable and interesting content. If you’re getting a lot of click-throughs, think about implementing a “Forward” option. Let your audience know you’re on the lookout for new subscribers and ask if they’d consider forwarding your content to a friend or colleague who might likewise benefit from it. Emails are a great marketing tool, because they are not only highly accessible, but also because they are easily shareable (via forwarding). Email marketing also increases your company’s visibility and keeps your name in front of current and potential customers or clientele. Email marketing can be a useful method to garner new business. However, you may not have the time to write, research and implement your content into a monthly E-Newsletter, especially if you are a small business owner. The Public Relations and Marketing Group is a full-service marketing firm that specializes in digital marketing for professionals, services, retailers and hospitality businesses alike. For more information about our email marketing service, contact our Long Island marketing agency, serving the greater New York City metropolitan area. Call 631-207-1057 or email info@theprmg.com for a free consultation. Don’t lose out on your chance to take advantage of one of the biggest sporting events of the year! Altice Media Solutions (formerly Cablevision) is serving up deals for this year’s US Open, tennis’ marquee event, which takes place August 28th – September 10th in New York City. Reach the sport’s most enthusiastic fans, who tune in to watch top players like Roger Federer compete for the year’s biggest championship. Everyone will be talking about the US Open! Now’s your chance to grab their attention with your commercial. The packages are broken up by geographic zone and include 30 spots which will air during the US Open matches on ESPN and ESPN2, (at least one per session) as well as 60 additional spots (20 per network) which will air Monday – Sunday on ESPNews, FOX Sports 1, and NBCSN between 6 a.m. – 12 a.m. (midnight). What makes a company website successful? Many will say it’s search-engine optimization, some will say it’s design, and a few will say it’s user experience. The answer is: all three. When designing a website for business, it is important to keep this in mind and not prioritize one of these aspects at the expense of the others. Individuals are often surprised to learn that both design and user experience play a substantial role in how a website ranks on search engines. Nowadays, many competitive businesses know to incorporate search-engine optimization in the design of their website. This focus does not need to overwrite the design and user experience (UX), however. With the development of coding languages and the upswing in Internet use, there are now many options for inclusion of both beautiful design and fluid UX. To ensure visibility online, your website needs to rank highly in search engine results. Websites designed with HTML and CSS are able to tackle the problem of website ranking, or search-engine optimization (SEO). 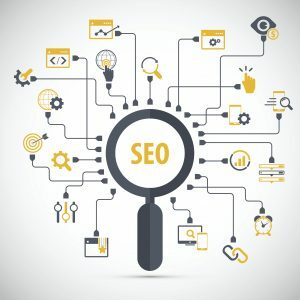 SEO allows a search engine bot, a software application that runs automated tasks, to read and understand your content,and rank it accordingly. This is how you are able to find relevant information on the web through a simple search. Optimization increases the chances of your site ranking highly in search engines, so your business is organically seen by more people. One issue many companies encounter is the sacrifice of user experience (UX) in favor of SEO – a compromise of design in the name of site ranking. But this doesn’t need to be the case; web designers can incorporate user-friendly and beautiful designs with code that speaks to Google, Bing, Yahoo and other search engines. Though search engines need text, there are ways to preserve a visual-based site (such as an online clothing retailer). Once such method is adding an expandable division tag (div) to the images. The div might give the user a compelling product description, information about the store, or general contact information, for example. Including text in this way allows the different pages of a website to be ‘read’ by processors that rank it. Calls to action and other page elements which are often presented as images would also benefit from background code. When these are created with webfonts and coding languages such as CSS and HTML, bots are able to crawl (browse and index) these elements, giving your firm a better reach online. While 96% of Americans have purchased items online, 51% prefer online sales to brick-and-mortar stores, and 85% of consumers use search engines to find local businesses, creating and maintaining a strong web presence is crucial to business survival. If a website is not designed with SEO in mind, it is difficult to rank highly in search results and is therefore difficult to achieve the desired result of an increased consumer base. The experts at The Public Relations and Marketing Group are knowledgeable and experienced in search engine optimization and digital presence, including advertising and social media. For sample site designs, please visit //for-your-impact-online.com. For more information, call us at 631-207-1057, or email us at info@theprmg.com. Online reviews and forums have made it much easier for people to communicate their experiences with products or places, which, for businesses, can be a blessing and a curse. Although reviews are a reliable mode of expanding brand awareness, one bad streak in online reviews could scare potential customers away. Management must act quickly and respond thoughtfully to customers in order to protect the company’s brand reputation, but also want to avoid appearing overly eager to please. It’s a delicate balance between satisfying an unhappy customer and standing up for the business you believe in. Companies are run by people, and people make mistakes. Even large companies like United Airlines and Johnson & Johnson occasionally have a misstep that casts doubt on the integrity of their business. Whether your company’s mistake was real or just perceived, it’s up to you to restore faith in your brand. 1. Be Honest. When a public relations crisis occurs, honesty is the best policy. Own up to your mistakes and take a leaf out of the humility handbook. Excuses make your business look bad, and it’s especially damaging to indicate that the jilted customer is to blame. Accept the blame for the problem, note that you understand the customer’s frustration, and apologize. 2. Empower the Customer. Put yourself in the shoes of your unhappy customer. How would you like the problem to be fixed, if you were her? Ask the customer outright what you can do to assuage the situation. Listen to her response, and if it makes sense to you, implement it. A customer is much more likely to forgive a business that makes changes for the better. 3. Make Changes. To restore confidence in your brand, you need to make adjustments when you goof up. Customers will see the way that you react in times of trouble. Thanks to the Internet boom, communication between the business and the customer is an all but public platform; the way you respond to unsatisfied customers is likely to affect the opinions of both new and returning customers. Though it may be costly to you, it’s important to make your customers whole. In the long run, you’ll make back what you’ve lost by rebuilding customers’ trust in your business. 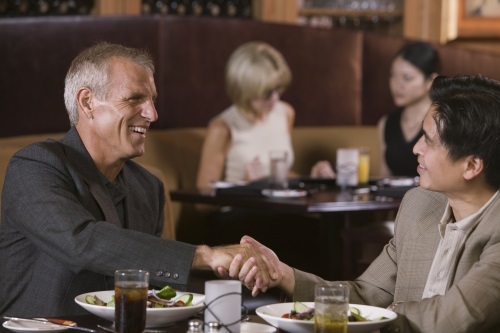 Customer loyalty is a crucial part of survival in the business world these days. Online reviews can be an extremely useful and empowering tool, as long as they are monitored and responded to with honesty and empathy. A full service public relations, marketing, digital advertising and communications firm, The Public Relations and Marketing Group has over a decade’s experience with brand reputation and online brand recognition. For more information, please call 631-207-1057 ext. 107, or email us at info@theprmg.com. 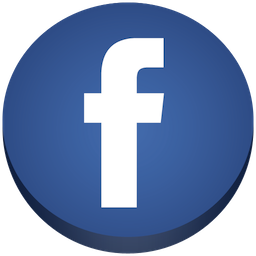 Facebook video ads allow you to reach more people who matter to your business. With over 50% growth in viewing, video ads on Facebook are a great way to drive awareness, capture lead generation and close online sales for your company. According to an IDC “Always Connected” report, people return to Facebook’s news feed on average 14 times a day. By advertising on Facebook with video, you can target real people based on their interests, behaviors, age, gender and location across a range of devices such as desktop, tablet, or smartphones. According to its own earnings reports, as of the third quarter of 2016, Facebook sees 1.79 billion active users a month. Also, as of January 2016 (the most recent information), more than 100 million hours of Facebook videos are viewed daily. Needless to say, that’s a large potential audience for you to market your goods and/or services to. Not only is it a large potential audience, but video advertising on Facebook is also more cost-effective than traditional advertising such as television, Facebook video ads we have run for our clients see an average CPC (cost-per-click) of $2.15 and an average CPM (cost-per-1,000 impressions) of $15.92. Facebook video ads work on an objective-based system. Whether your objective is to increase overall brand awareness, drive traffic to your website, increase lead generation or online sales, Facebook video ads are effective in engaging your target audience and achieving your business objective. A Facebook video ad could increase brand awareness by showing your video to as many people within your target market as possible, as per your allotted budget. Facebook video ads can drive traffic to your website by encouraging users to click on a “Learn More” button and also drive prospective buyers with a “Shop Now” button. By attaching a form to your ad, Facebook users can exchange their contact information in a request for more information from your company. Similarly, if you want to drive traffic to and capture leads from your site, we can develop a landing page with a contact form which stores that information as well. Right now when you create a video ad on Facebook, that ad gets shown in the News Feed of your target audience, just as if it were any other type of content a user views on a daily basis. As stated earlier, these videos garner more than 100 million hours viewed on a daily basis. As recently reported by the Wall Street Journal, Facebook is going to start testing 15-second advertisements mid-roll of organic videos. This means that, if you are viewing a video posted by your favorite news outlet, chances are there will now be a 15-second ad in the middle of that video you started watching. This is just one way that Facebook is experimenting with expanding their video ad presence, and it indicates that they don’t plan on dropping it anytime soon. The NCAA Division I men’s basketball tournament, appropriately named March Madness, gets the ball rolling on March 14-15, 2017. According to the International Business Times, 2016’s championship game between North Carolina and Villanova clocked in around 22.3 million viewers. This year, Turner Networks will continue to share NCAA Tournament coverage with CBS, TBS, TNT, and TruTV. A total of 43 games will air on cable channels, including exclusive coverage of the Play-In Round and 24 games in the First Round, as well as coverage all the way through the Regional Finals (Elite 8). Altice USA (formally Cablevision) advertising packages for the 2017 NCAA Division I men’s basketball tournament are broken up by zone. Each game airs across TNT, TBS and TruTV. In addition to the 43 spots available, Altice Media Solutions will include 100 added value spots across applicable networks, excluding News 12, competitive sports networks or top 20 networks. However, there are zone discount rates available. For instance, if you select two zones there is a 2% discount; three zones there is a 4% discount; four zones there is a 6% discount; five zones there is a 7% discount; six to eight zones there is an 8% discount. 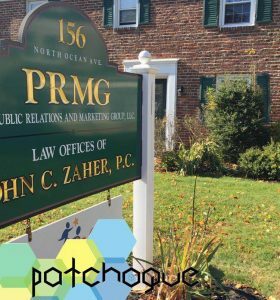 Contact us for more information about these available packages at 631-207-1057 or at johnzaher@theprmg.com. What’s the most important part of public relations? You might think that the answer is in the word “public”—in other words, how wide an audience you can reach with information about your organization. However, an equal amount of attention needs to be focused on the “relations” component of PR. PR is less a set of tried-and-true formulas for communicating with customers, and more a discipline of building trust. The relationships you cultivate with audiences will ultimately determine your company’s success or failure. This is borne out in recent conversations across cyberspace about the role of “influencers” in social media marketing. According to data from the PR firm Edelman, more and more existing and prospective consumers turn to trusted technical experts, academic experts, peers, and even CEOs for information on what products to buy. These “influencers” are opinion leaders because they have earned a given population’s trust and can therefore powerfully affect consumers’ purchasing choices. As one author describes it, “Influencer marketing is yesterday’s word-of-mouth marketing on steroids.” Interestingly enough, even though 21st-century consumers seem to prefer the “old-fashioned” concept of trust when deciding to make a purchase, the media they trust have shifted significantly. Edelman’s data also revealed that millennials tend to place their trust in search engines and social media more than traditional avenues. Whether your business uses primarily traditional or online marketing in its approach, it’s safe to say that you’ll see greater results only if you use public relations to cultivate trust and build relationships with the clients that matter to you. This will strengthen brand loyalty, as people will genuinely enjoy your brand and your product. Some of our most successful clients have already developed relationships with customers who love them and what they do, and it shows. The Public Relations and Marketing Group, LLC (PRMG) can help your organization develop a comprehensive public relations plan to connect with your audiences. As a full-service public relations, marketing and digital advertising agency, we understand the public with which your business is likely to interact, and we can connect you with influencers who will further help you develop a relationship of trust with consumers. If you have any questions about our social media or other marketing services, please contact us at (631) 207-1057 ext. 107 or at johnzaher@theprmg.com.